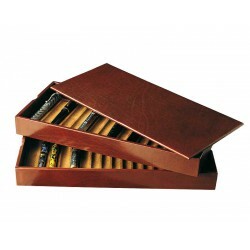 Discover all our collection of stackable trays for fountain pens by Absolute Breton: at our artisanal workshop we have manufactured new models of trays for fountain pens, handcrafted with different finishes and natural leather from Ubrique. Check the samples and pick the one which fits better to your needs. Besides, all of them are customisable at your preferences. 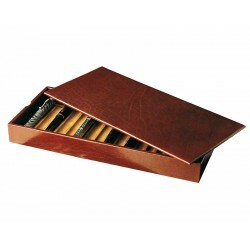 Leather trays to store fountain pens are vital elements in luxury jewellery stores, specialised stationery shops or stores for collectors' goods. 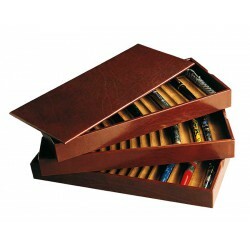 They become a very easy way to organise different fountain pens without filling the space in excess, and they can be handled at ease. 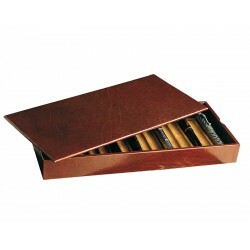 Ask for prices and models on our online store: 24/7 at your service.